The long-sought-after expansion of Mt. Spokane Ski and Snowboard Park could be potentially delayed or even halted by requirements from a state department that the project not disturb a site that holds cultural significance for the Spokane Tribe. In 2014, the state Parks and Recreation Commission gave the ski area the go-ahead to expand to 800 acres on Mt. Spokane’s northwest side. The expansion could include a new chair lift and seven new trails that proponents says will make the area more viable. But opponents, which include the Spokane Tribe and an alliance of environmental groups called the Save Mt. Spokane Coalition, have argued that the expansion would hurt environmentally sensitive land as well as areas sacred to the tribe. The coalition has brought several legal challenges against the expansion, none of which have stuck so far. But in December, the Spokane Tribe recorded maps with the the Washington State Department of Archaeology and Historic Preservation that could complicate the expansion. The maps show that an archaeologically significant trail used by the tribe is in the area of the expansion. Earlier this month, the department sent Spokane County a letter stating that before the ski area could expand it would need to conduct an archeological survey of the site and get a permit based on its results. Harrison says that the trail was used by the tribe for hunting, gathering and vision quests. He also says the mountain plays a central part of a tribal legend involving a Noah’s Ark-like great flood. Mike Petersen, executive director of the Lands Council (a group associated with the Save Mt. Spokane Coalition), says that if the ski area can’t get a permit from the department because of the expansion’s impact on the trail the whole project could be halted. Brad McQuarrie, general manager of Mt. 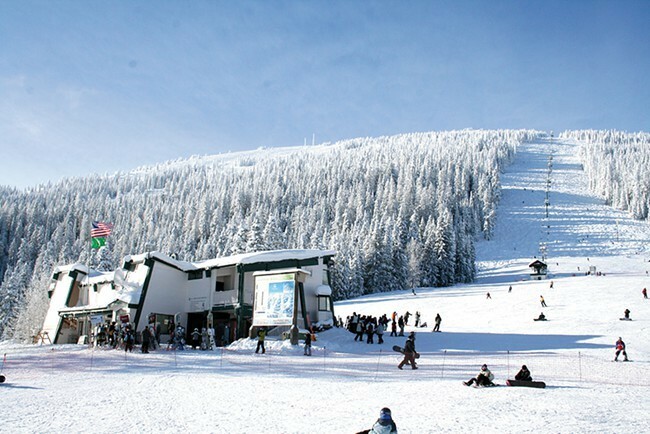 Spokane Ski & Snowboard Park, says the Washington State Parks Department requires the ski area to get all its permits before it can expand. He's not sure how many permits the skiing area is currently in the process of acquiring. He says that the park will be applying for the newly required permit, and when the snow allows, it will hire archeologists to perform a survey of the site, which could happen as soon as May.